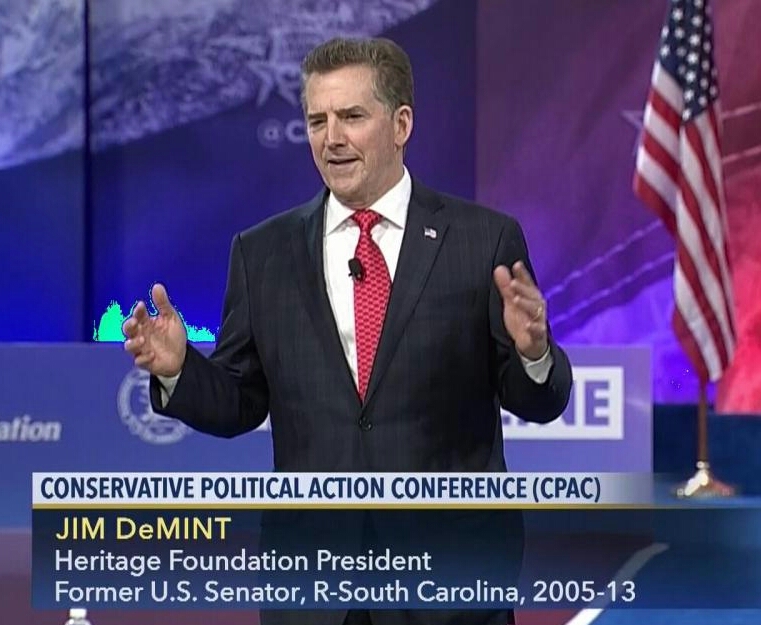 Jim DeMint president of the Heritage Foundation, told conservatives at CPAC to keep the charge going to repeal the 2010 health care law. OXON HILL, Md. — Conservatives rallying here are calling for their congressional brethren to keep the faith and quickly gut the 2010 health care law, dismissing concerns about lost health coverage and motivated voters at town halls. Reported remarks by former Speaker John A. Boehner, R-Ohio, far away from the conservatives gathered at the convention hotel provided the latest cause for alarm. Boehner had said that repeal and replace was “not going to happen,” according to Politico. “The last I checked, Boehner doesn’t have a vote anymore,” Sen. Ted Cruz of Texas told Roll Call just as a cacophony of barking came from nearby police canines. “We’ve got to keep that promise, and I believe we will,” Cruz said. Cruz, who has been among the loudest voices for rolling back as much of the 2010 law as possible, was one of few lawmakers appearing at CPAC during the February congressional recess, flying back from Texas for the occasion. He got a heroes welcome from the conservative activists and media assembled at the hotel just outside D.C.
Heritage Foundation President Jim DeMint, the former South Carolina Republican senator, called on activists attending the Conservative Political Action Conference to push their members of Congress to send to President Donald Trump the same legislation that dismantled the law and was vetoed by President Barack Obama with all due haste. He also said that doctors, hospitals and insurance companies would still exist after repealing the law and that, “no one loses their insurance” under the repeal bill envisioned. That ignores analyses that show millions of people losing their health insurance under scenarios that simply repeal the law. The nonpartisan Congressional Budget Office, for instance, released a report last month that estimated as many as 18 million would lose their insurance within a year and premiums would spike. As many as 32 million would lose insurance in the coming years, the report said. Such concerns have been echoed in town halls across the country where Republicans have been challenged to explain how to cover people in the absence of the health care law. Still, DeMint echoed other conservatives in Congress who have advocated for swift action on repealing the law. Cruz, for instance, previously said Congress should repeal before details can be worked out on a replacement plan. The House Freedom Caucus, a key bloc of conservatives, voted to formally take the position that the House should pass the same repeal measure that Obama vetoed, a position DeMint mirrored. The caucus has not formally taken a position on timing of a replacement plan, but conservatives have rallied around a health care plan sponsored by Rep. Mark Sanford of South Carolina and Sen. Rand Paul of Kentucky. Paul has advocated for Congress simultaneously repealing and replacing the law. Former Freedom Caucus Chairman Jim Jordan said last month that he’d like to see some acceleration of the repeal measure and that the effective date of the repeal provisions should be sometime this Congress. “I start from the premise that health care will be better and cost less when Obamacare is gone,” he said. That sentiment is not reflected in analyses like the CBO’s. “Heck yes,” the Ohio Republican said when asked if he would vote for a repeal measure without seeing a replacement plan. However, he qualified that it must be a full repeal. Jordan said that ideally Republicans would offer a free market-based replacement at the same time. “But if it doesn’t [happen] of course I’m going to vote to repeal it,” he said. Freedom Caucus member Raul Labrador of Idaho said he would like to see a specific replacement plan that has been vetted through the committee process before a repeal vote. While lawmakers attempt to find consensus on a path forward, DeMint’s comments signal the pressure conservatives are placing on congressional Republicans to act quickly to undo the health care law. But GOP lawmakers are still developing their repeal and replacement plans. House Republican leadership presented a blueprint of a plan last week, though questions remain as to what final plan can garner support form both conservative and moderate Republicans in the Senate. Bridget Bowman contributed to this report. Get the latest updates from Roll Call in your inbox. 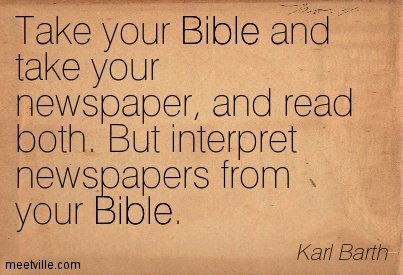 Sign up for our free newsletters today. Did this article have a great quote? Highlight it, then tap Recommend and share it with others.